You should only hire Baton Rouge makeup artists whose goal is to turn you into the most stunning version of yourself. Rigsby Frederick Salon and Gallery have such a team. 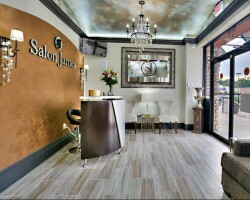 They have a number of bridal packages for in-salon and on-location services. Their in-salon wedding package includes special treatment in the private VIP suite where you and your bridal team can relax before the ceremony begins. 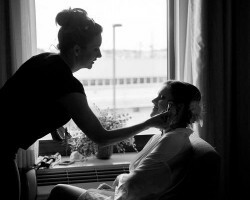 The on-location package involves having a professional Rigsby makeup artist and hairstylist with you on your wedding day. If you fancy working with people who will not take you for granted on one of the most important day of your life, get Kiss and makeup beauty services to design your hair and apply your makeup. They offer on-location services and treat all their clients like V.I.Ps. Their prices are very affordable. For example, the bridal package goes for only $ 150. Book a date with this amazing team and your skin, hair and nails will look flawless on your wedding day. 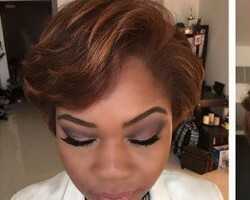 Trevon Dyson is a seasoned makeup artist in Baton Rouge, LA, who has graced the industry for over 15 years. She is passionate about making women, especially brides on their special day, feel and look beautiful. Her friendly approach towards her clients makes her unique. She builds lasting relationships with her clients by being very relatable and friendly. All her services are on-location, which means her clients do not have to travel to and from the salon before or during the wedding. This family owned local salon was opened in 2016 to help the people of Baton Rouge fulfill their beauty needs under one roof. The staff endeavors to make every client feel comfortable in their own skin by helping them realize their full beauty potential. One of their special services is bridal makeup. They understand that a wedding can be very stressful to the bride. This is why their extensive bridal package includes spa and massage services in addition to hair, nails and permanent makeup. Verde beauty is the self-proclaimed premier makeup team in Louisiana. Led by Tina Rodosta, a seasoned makeup artist, the team has very high standards. Their sparkling ratings and reviews are proof of their prowess. All of them have backgrounds working in the film and TV industry as makeup artists so they have experience producing excellent results in high stakes situations. They specialize in on-location wedding hair and makeup services so you do not have to rush to their salon on your wedding day.